As Marcus Wareing's new television programme airs on BBC Four, we talk to his restaurant group's operations director Chantelle Nicholson about what it was like to work on the show. Many chefs of the older generation are always decrying the new wave of chefs, proclaiming that they forego traditional cooking techniques, choosing to delve straight into all the high-tech gadgetry that now occupies the work surfaces of professional kitchens instead. But there’s a strong argument for science-led, modernist or ‘molecular’ cooking, with devotees believing it’s the best, most precise way of cooking. 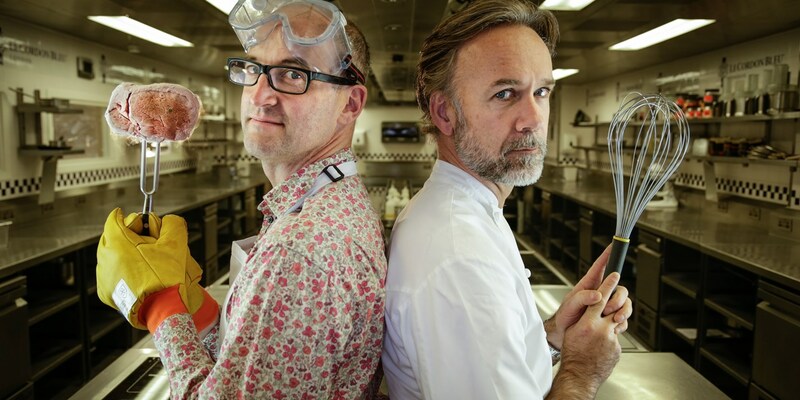 This clash of beliefs is explored in Chef vs Science: The Ultimate Kitchen Challenge, a one-off programme on BBC Four (broadcast on Wednesday 23 March at 9pm) that pits Marcus Wareing against Professor Mark Miodownik, to see whether classical cooking techniques or modern scientific theory can produce the best finished dish. Chantelle Nicholson, the group operations director for Marcus’ restaurants, was heavily involved in making the show. ‘The show’s concept looks at how a scientist approaches cooking versus the way a chef approaches it, when both want the same outcome – the best version of a dish,’ she explains. ‘It sounded really interesting and something we wanted to be involved with. There were five different comparison dishes, such as the rib-eye steak – Marcus cooked it over high heat, basting it in butter, while Mark took the scientific approach by cooking it sous vide, freezing it in liquid nitrogen and then deep frying it. A lot of the new techniques eliminate the risk factor in a professional kitchen, which is why we use them at the restaurant, but they can’t be used to completely replace classical cooking. Chef vs Science: The Ultimate Kitchen Challenge will be broadcast on Wednesday 23 March at 9pm on BBC Four.